I am liking the look of these Legion figures. I remember collecting only Cyberverse for DOTM, probably not going to be the case here but, still, it is good for Legion to be back. 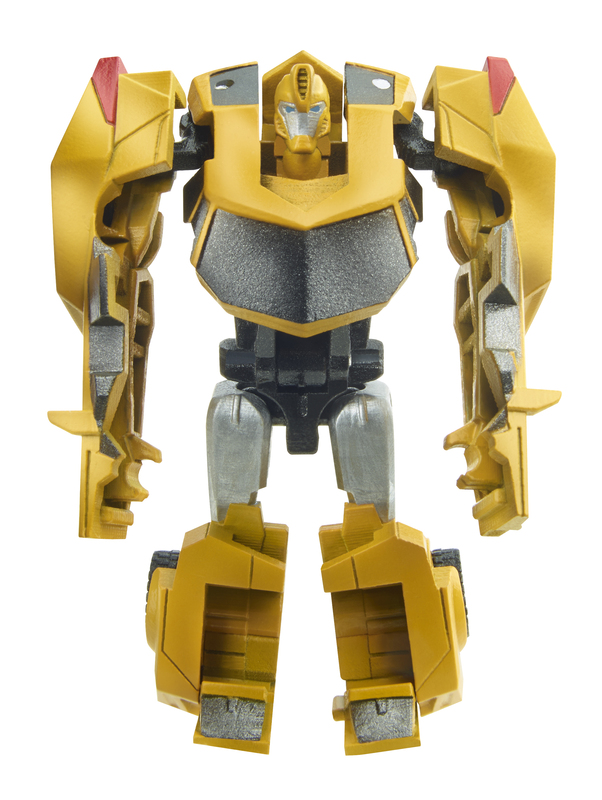 That Bumblebee's chest reminds me of the Cybertron duo, wonder how easy a custom would be to make. I'm glad they're bringing the Legion figures back. Steeljaw kind of reminds me of Ravage and Laserbeak they have a beastlike design but with a vehicle modes they're usually the only ones who have beastlike robot modes but don't turn in to beasts. Honestly I prefer the Warrior/Deluxe Class figures more over the Legions. 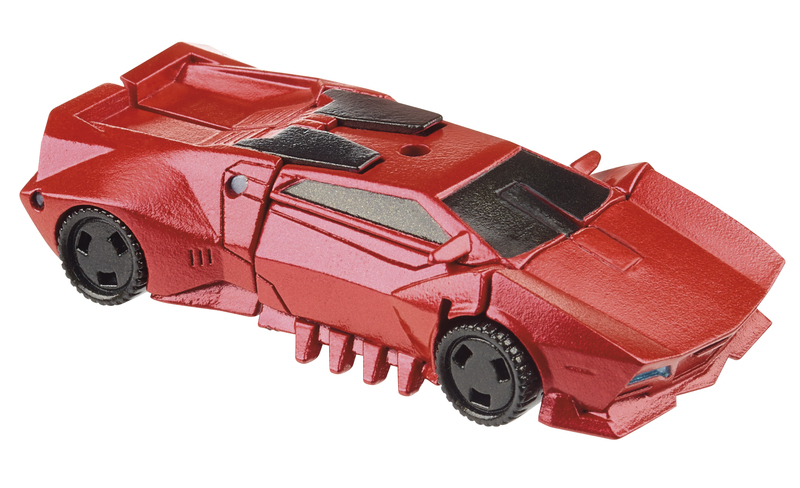 Sideswipe has got face plate and is not sporting big hair which is good. I think the no-hair is not show accurate but so far that doesnt bother me. It's still there, it's just not as prominent as it is in the show. If it was, it would probably be a bit of a safety hazard. 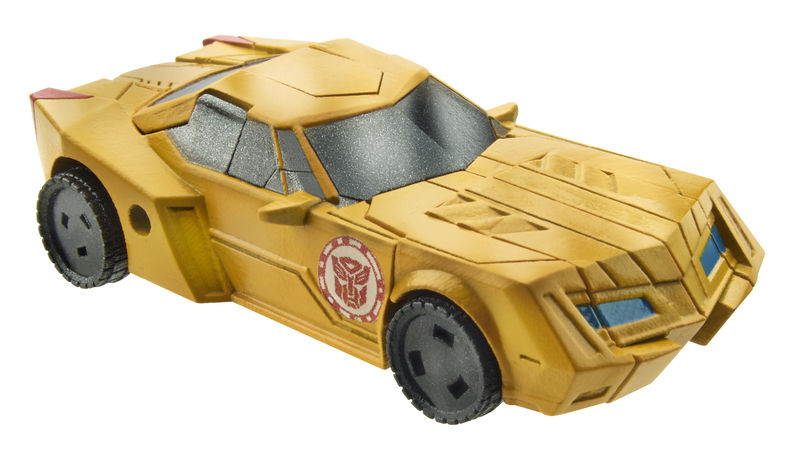 Swipe and Bee will make additions to my Cyberverse prime collection as Swipe and Sunstreaker. Hyperchange Grimmy is not bad at all. The legion one looks good too but is too small really for my collection. 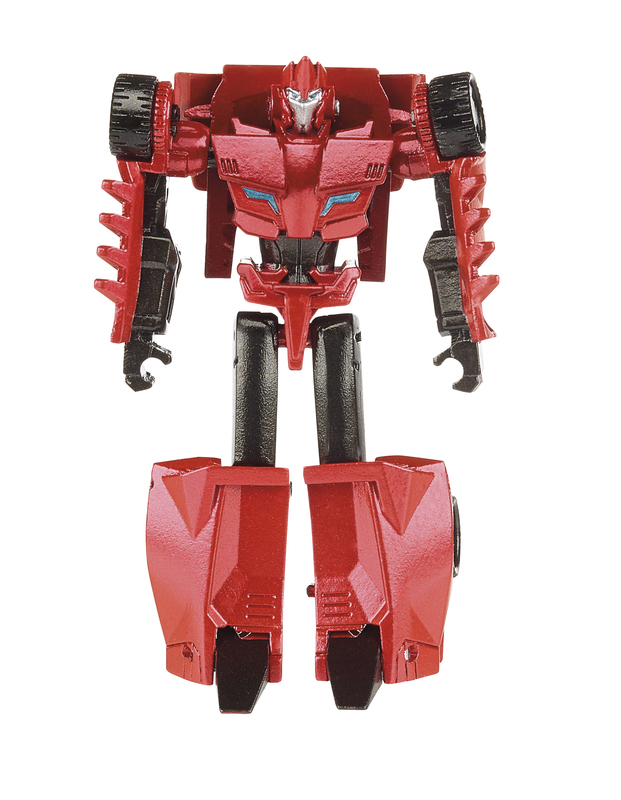 Sideswipe is so skinny he looks like a Gobot (which now that I say it makes me like him). 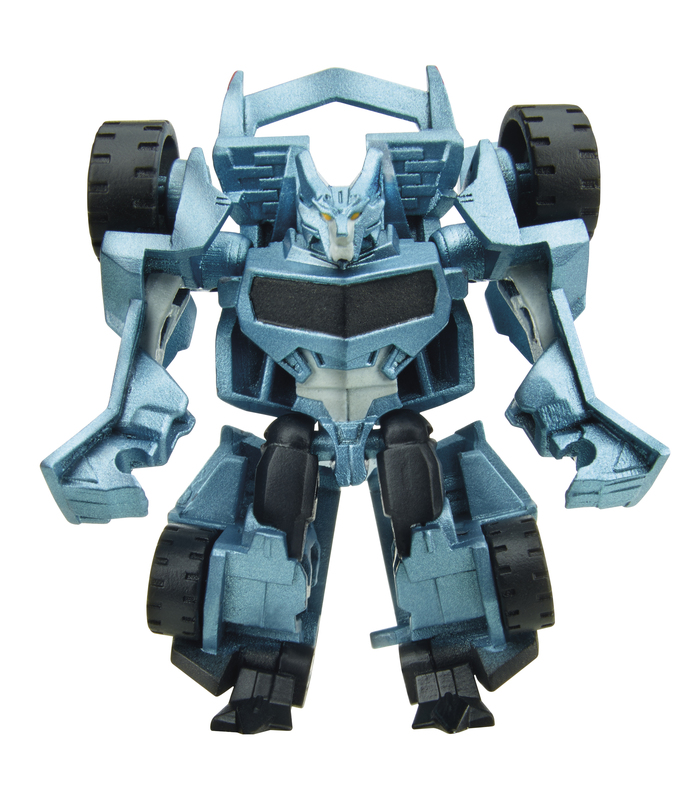 I kinda dig Steeljaw more, though, but mostly because his car mode evokes a wolf's head in its proportions. The deluxe didn't no anything for me, but I'm really liking the way Legion Grimlock looks. Maybe it's just the lack of a mouth on this version. Hopefully that carries over to the final version. 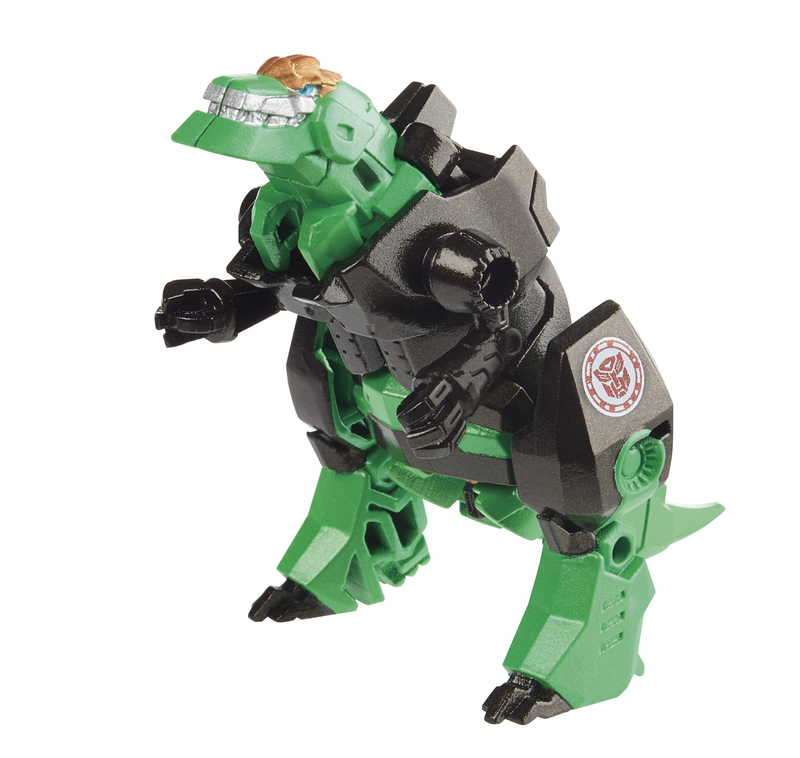 So far Grimlock is the only one I'm really going to hunting for. These RID Legions actually look like the best ones. Very balanced in terms of figure proportions, sculpt detail and paint apps on all of them. So we have a another toy type in 'Hyperchange Heroes', or is that a new name for Power Attackers/Battlers? Based on the $20 price-point, it's closer to the AOE Flip & Change assortment. 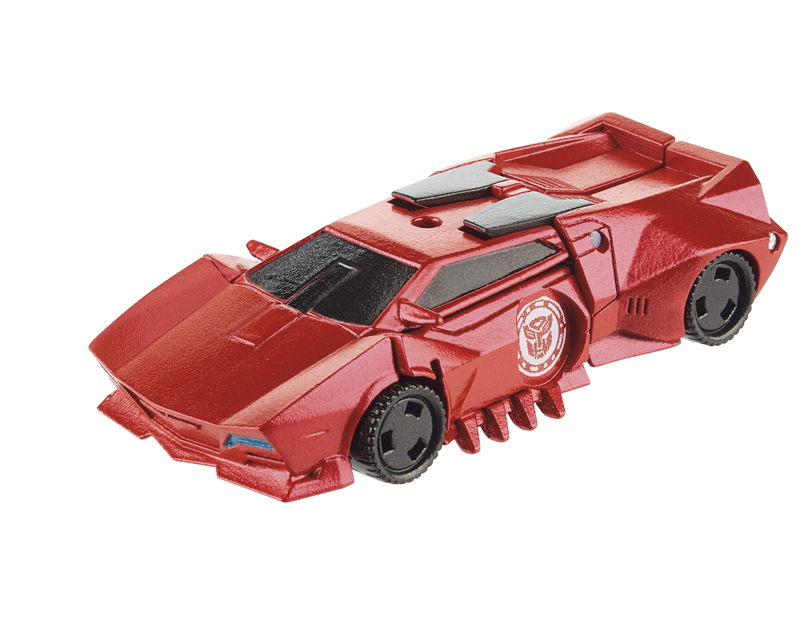 Can't wait to add these to the Cyberverse collection, but I do wish Sideswipe had his face showing instead of a mouthplate. 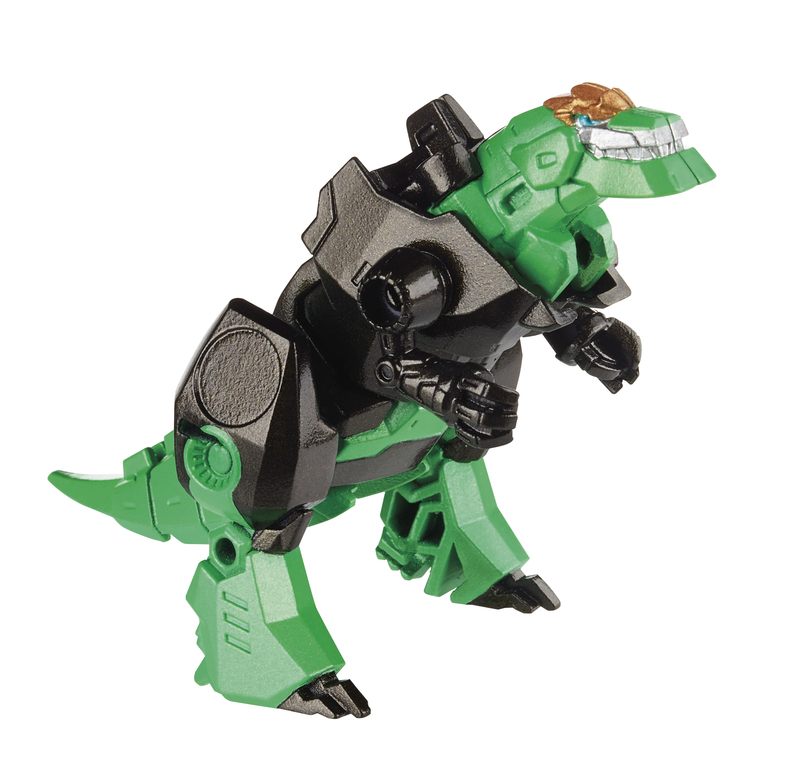 Grimlock is looking great regardless of the class he is shown in. 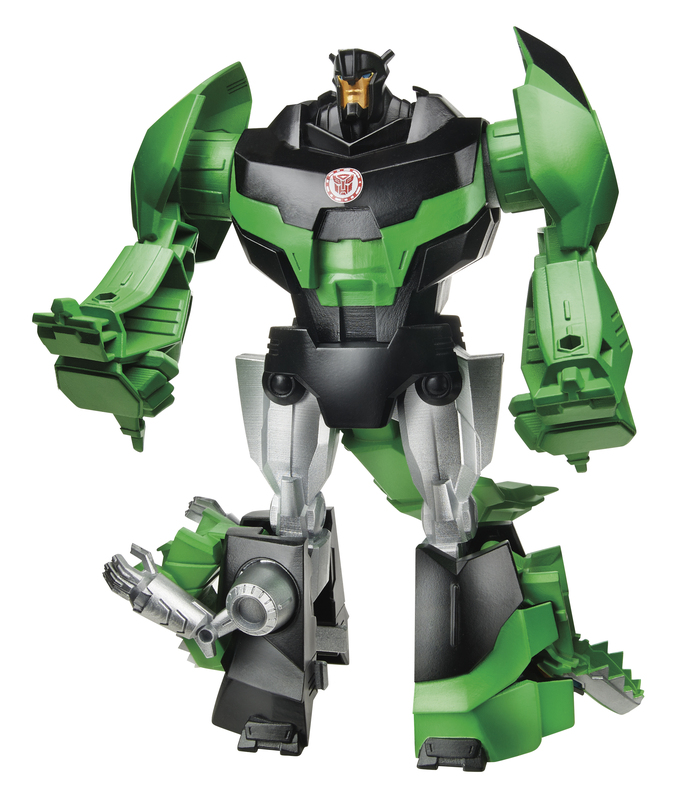 What is it with Steeljaw being a decepticon lately? Where's that little yellow Steeljaw we all know and love? Road surfing behind G1 Prime's trailer? Who knows, this version could become the more memorable version if they do their jobs right. Like a certain royalty supporting pyromaniac in Beast Wars, Inferno. The Legions look good. Though I kinda wish they were still doing Commanders too. Not sure who all, but I might get some of them to add to my TFP Cyberverse collection. 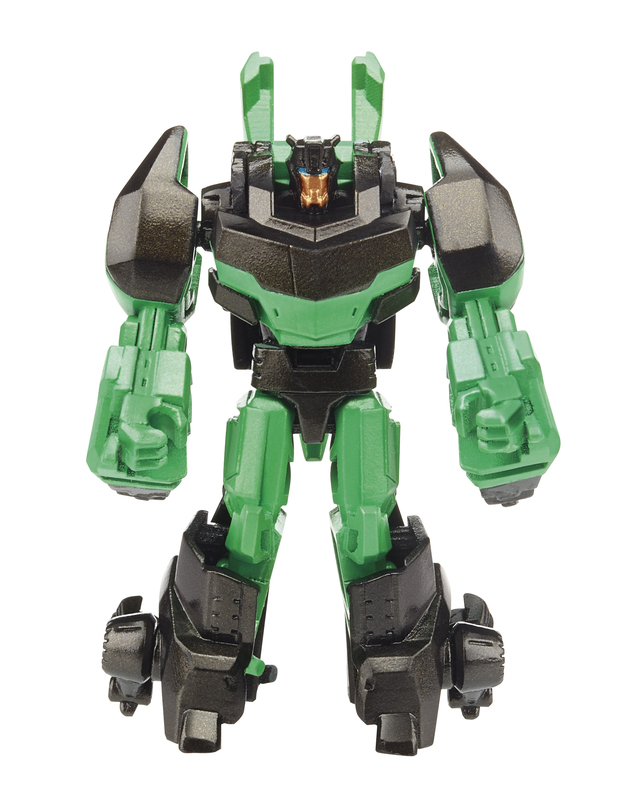 I'm not sure why, but I like the looks of this "Hyperchange Hero" Grimlock figure. The a-symetrical legs look kinda cool. Though I'm liking the looks of all of his figures, so that might be why. 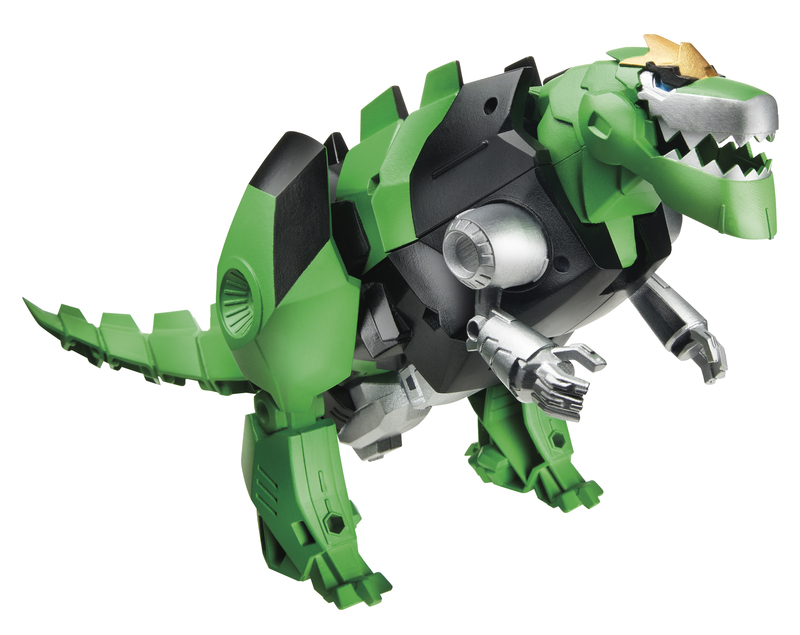 If I get any of the HH figures, it'll be Grimlock, and it'll be a result of possibly getting all of this designs toys.